The trace on the cabs San Francisco Bay Area is publicly available at CRAWDAD. The dataset contains GPS coordinates of 536 cabs over approximately 30 days. 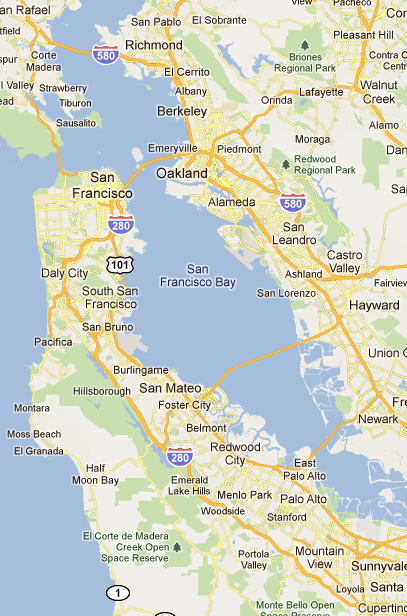 The following Google map snapshot shows the San Francisco Bay Area. We focus on the cabs moving in the downtown area (3.5km x 3.5km). 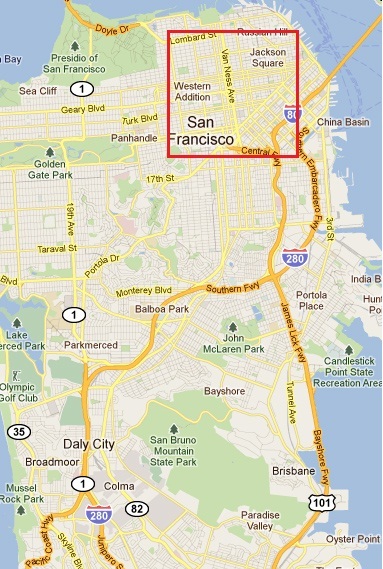 The downtown area is indicated by the red square in the following Google map snapshot. The Euclidean distance between two cabs are calculated using the Vincenty's formula (error + - 0.5 mm). Further, in the case that GPS records have a large void in time, we apply interpolation so that a cab moves at a constant speed from a point to another instead of jumping.